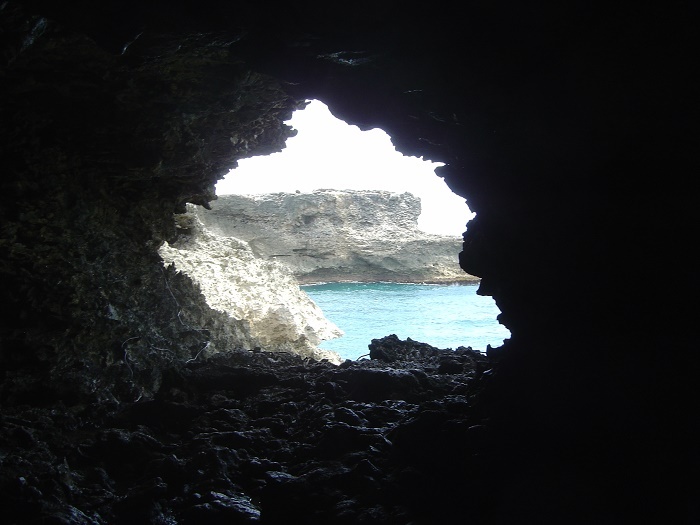 The Animal Flower Cave is an interesting natural cave formation that is located in the northern part of the island nation of Barbados. 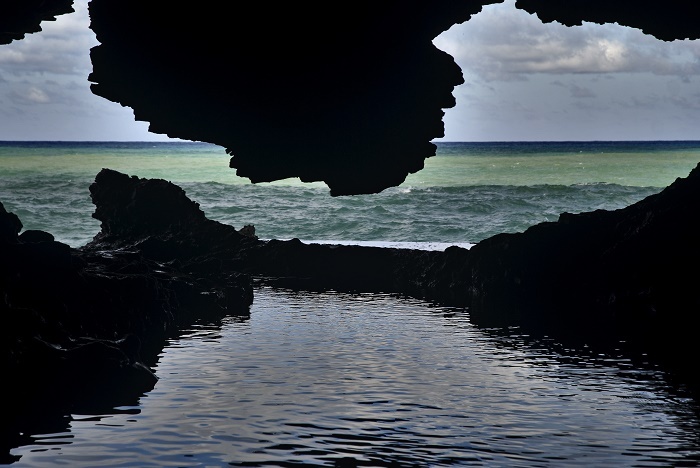 Being under the cliffs at North Point in the Parish of Saint Lucy, the Animal Flower Cave is the island’s lone accessible sea cave that was discovered in 1780 by a Welsh naturalist explorer and author, the Reverend Griffith Hughes. 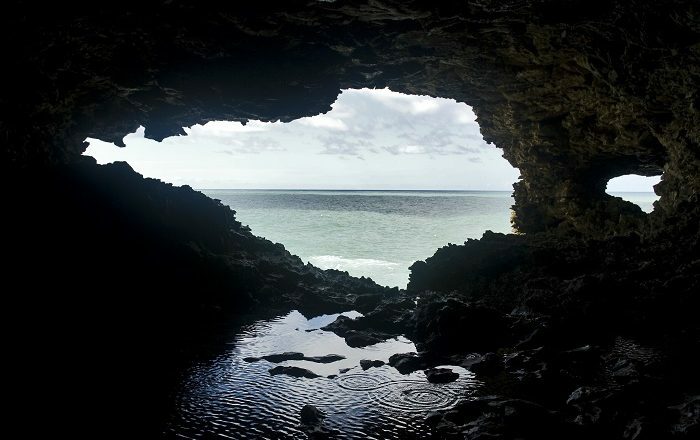 Even though the history is not that known, it is considered that the cave was carved up underwater, however, it is quite interesting the fact that is 2 meters (6 feet) above the high water mark, and it is rising 3 cm (1 in) every 1,000 years together with the entire island. There are several spectacular openings that are looking out towards sea with astonishing vistas of the Atlantic Ocean, but the most impressive feature are the walls of the cave which are full of interesting formations. 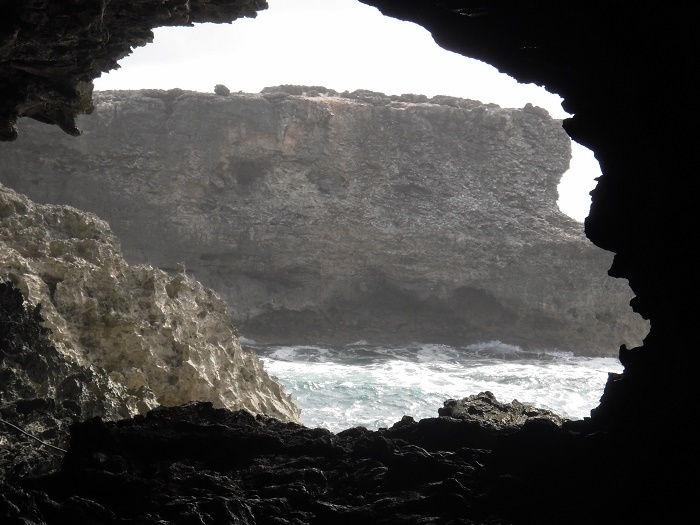 Their coloring of green and brown by oxidation of copper and iron is making the Animal Flower Cave to be something like a puzzle to the visitors who are trying to find some shapes in the walls, something like a lizard or turtle. 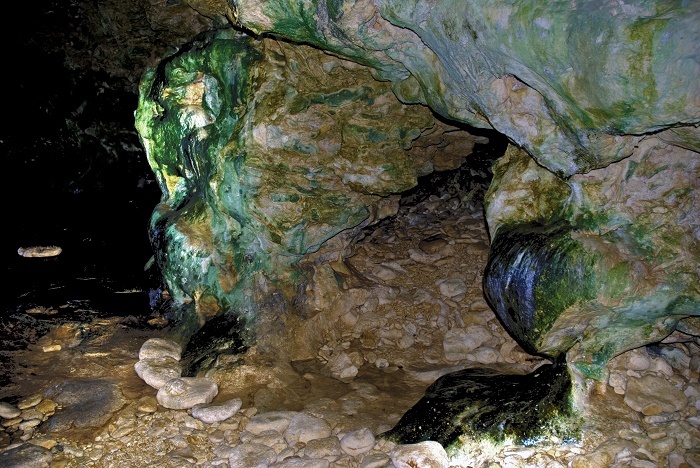 The German Geological Institute dated the floor of the cave where it is considered to be between 400,000 and 500,000 years old, nevertheless, the younger coral section above the main floor is about 126,000 years old. 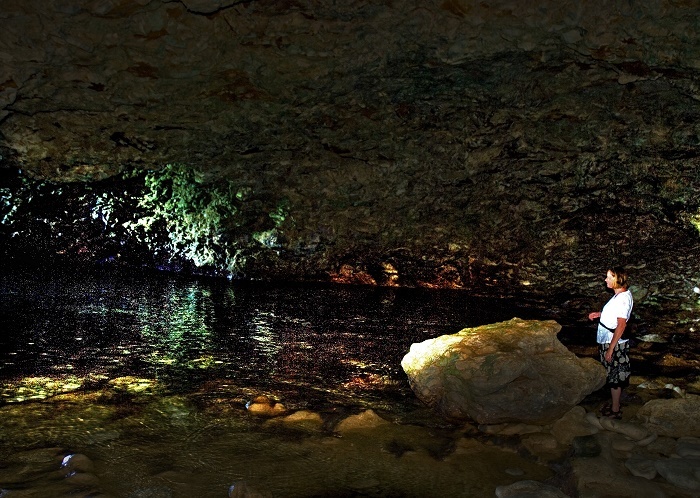 There is a chamber within the cave which is known as the “swimming pool”, with water that is very still and transparent giving the deceptive feeling that it is very shallow. 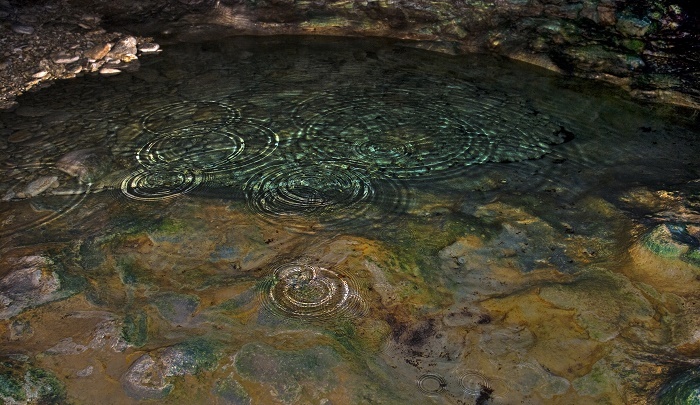 During strong storms, the water from the sea is reaching inside and the entrance acts like a giant spectacular blowhole. 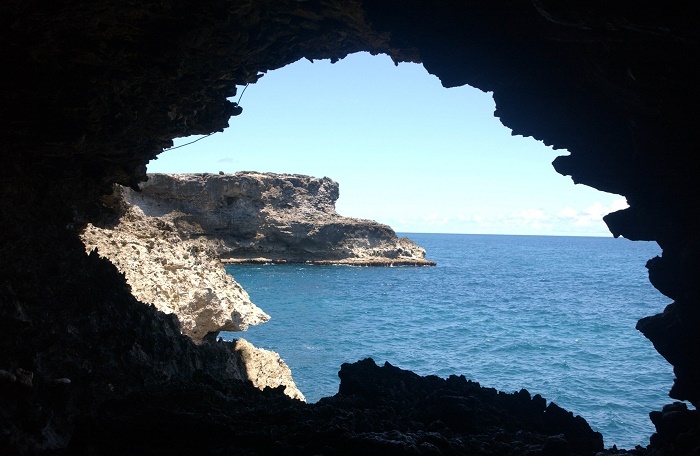 The name for the cave was given from the interesting Sea-anemones that are locally known as Animal Flowers, but in addition to that, there are also filter-feeding tube worms that are otherwise known as seafeathers or Sabellastarte Magnifica. The flowers appear seasonally and consist of tentacles that can sting and paralyze a passing fish in the larger variety of species. The tentacles retract into the stalk or stump for safety on contact with an alien object like a stick, which then, the flower waits a while before coming out of the stalk again to allow danger to pass. The small tube worms which were in abundance during the discovery of the cave, live in the crevices in the rocks, however, recently it is not certain why their numbers are lower. 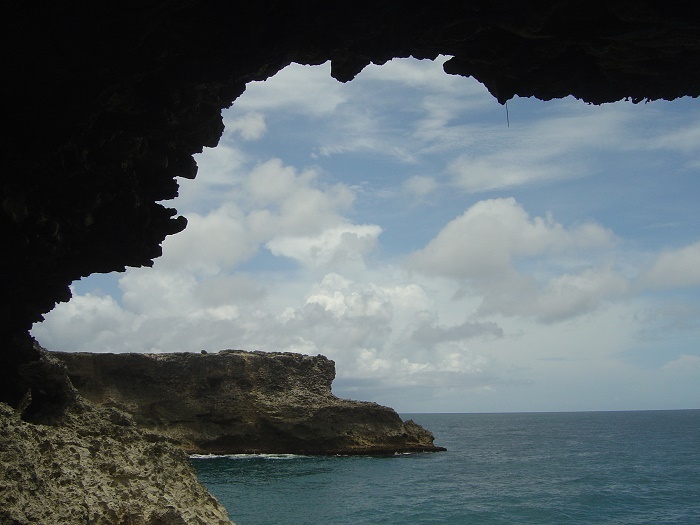 Still, with the restaurant that is located atop the cave, the Animal Flower Cave is a wonder of the nature in which we are able to enjoy, and as the island is rising, we shall be able to enjoy for eternity.